There was a time in my life when I questioned everything I knew about God and whether it was all worth trying so hard to be faithful in the tough times. During that time, God gave me the following scripture to restore my faith when it was wavering: “But as for you, continue in what you have learned and have become convinced of, because you know those from whom you learned it, and how from infancy you have known the holy scriptures, which are able to make you wise for salvation through faith in Christ Jesus” 2 Timothy 3:14-15. These verses confirmed for me that I could continue trusting everything I had learned about God since childhood. We may go through difficult times that cause us to doubt, but we can lean on and trust the things that we have seen God do in the past and know that he will see us through again. Sometimes we feel imprisoned by our circumstances. Physical ailments, loss of job, financial struggles, marital problems, and other trials can make us feel as though we are confined by restraints like Joseph’s iron collar and fetters. Such circumstances may cause us to doubt or question what we have done why God would allow such events in our lives. What is the “iron collar” that has you feeling confined like Joseph and questioning your faith? We often wonder what we have done to deserve the circumstances we must face. According to Psalms, Joseph wasn’t struggling because of anything he had done but instead God was testing his character, and he was eventually set free from his iron collar. When we struggle with the “iron collars” of life, we often grow spiritually. What an amazing testimony to go through struggles and not only remain faithful, but grow closer to God in the process! 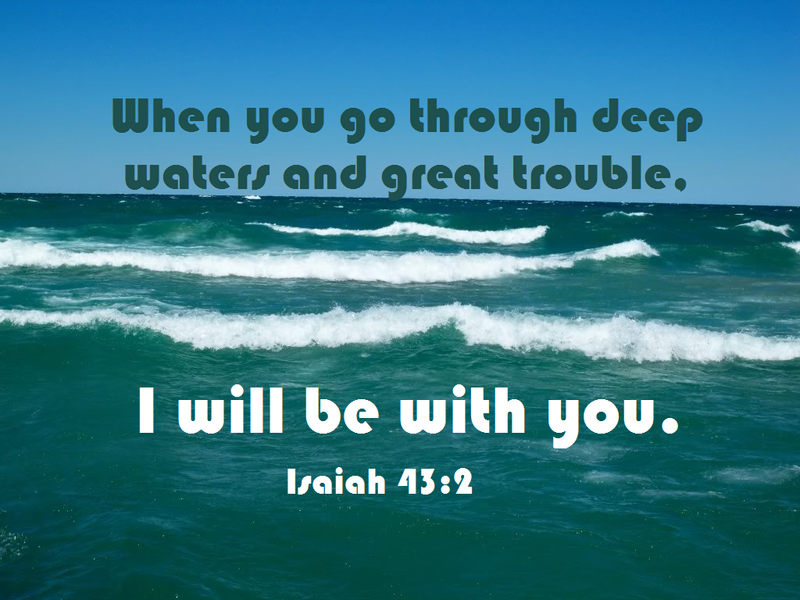 Isaiah 43:2-3 says, “When you go through deep waters and great trouble, I will be with you. When you go through rivers of difficulty, you will not drown. When you walk through the fire of oppression, you will not be burned up; the flames will not consume you. For I am the Lord, your God, the Holy One of Israel, your Savior.” We can be sure that there will be difficult times in our lives, but these verses assure us that God will bring us through those times. If you have been blessed by this devotion and would like to receive notifications of future devotions, please click the link in the right column for Email Subscription. The journey of life is often long and difficult. There are many obstacles in our way that cause discouragement, grumbling, and questions. Our circumstances may leave us feeling like the Israelites as God led them to the promised land. God had promised something better than the life they were leaving, but they faced many struggles along the way. Exodus 13:17 says, “When Pharaoh let the people go, God did not lead them on the road through the Philistine country, though that was shorter.” Why not? The Israelites were finally free from slavery, and God was leading them to the Promised Land. Why would He make them go the long way? As we read on we see that travelling the shortest route would result in being attacked by the Philistine army. God knew if they faced a battle, they might turn and head back to Egypt. They simply were not ready. So He protected them from an immediate battle to prevent the Israelites from becoming discouraged and giving up. Ultimately, He knew what was best for them. Eventually Pharaoh decided he had made a mistake and gathered his army to capture and bring home the Israelites. As they approached the Israelite camp to force them all to go back to Egypt, the people began to panic and cried out to God for help. When trouble appears in our life, we often respond in the same way. We panic and cry out to God to help us get through it. Then they turned on Moses, complaining about his leadership, and wishing they had never left Egypt. They feared the worst thinking they would surely die there in the desert. They didn’t even wait for God to answer their cries for help before they began to fear the worst. Satan uses fear to distract us from trusting God, and we begin to question why He is taking us down this path in life. In Exodus 14:13, Moses says, “Don’t be afraid be brave and you will see the Lord today.” Moses had faith that God would be with them. Then in Exodus 14:14, Moses says, “The Lord himself will fight for you. You won’t have to lift a finger in your defense.” Hmm…so if we encounter difficulty while travelling the path God planned, He will fight the battles for us! He doesn’t even need our assistance or advice. As long as it’s His plan for our lives, He will ensure that things don’t go awry. There may be difficulties along the way, but ultimately God will protect us every step and nothing will happen that is out of His control. What a comfort to know that whatever battles come our way, God has it under control! All we need to do is be still and allow him to work. At this point the Israelites appeared to be trapped between the wilderness and the sea as the Egyptians approached. Then as God instructed, Moses held his staff over the water, and a pathway opened across the sea. The Israelites walked through the middle of the sea on dry ground as water stood like a giant wall on both sides. The waters closed up behind them and the Egyptians, their chariots, and horsemen were all swept into the sea. God had rescued them from what appeared to be an impossible situation. There seemed to be no way to survive, but God not only protected them but also removed the threat completely! Our lives are like the Israelites journey to the promised land. God has promised something better (heaven), but it’s often a long journey, and there are many difficulties along the way. Difficult times help us to learn to trust Him, and our faith and relationship with Him will grow stronger. Although we may grumble and get discouraged going through it, we can trust that He is with us, He has a plan, He will fight for us, and in the end we will see His power. 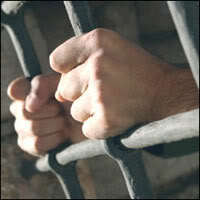 Sometimes we feel imprisoned by our circumstances. Physical ailments, loss of job, financial struggles, marital problems, and other trials can make us feel as though we are confined by restraints like Joseph’s iron collar and fetters. Such circumstances may cause us to question what we have done why God would allow such events in our lives. There was a time in my own life when I questioned everything I knew about God and whether it was all worth trying so hard to be faithful in the tough times. During that time, God gave me the following scripture to restore my faith when it was wavering: “But as for you, continue in what you have learned and have become convinced of, because you know those from whom you learned it, and how from infancy you have known the holy scriptures, which are able to make you wise for salvation through faith in Christ Jesus” 2 Timothy 3:14-15. These verses confirmed for me that I could continue trusting everything I had learned about God since childhood. We may go through difficult times that cause us to doubt, but we can lean on and trust the things that we have seen God do in the past and know that he will see us through again.